Are you ready to show Canada that you are the best? If yes, Salon Magazine is accepting submissions for the Canadian Hairstylist of the Year Awards – better known as the Contessas. Already in its 25th year, the Contessas are the premier awards in the Canadian beauty industry. The awards are not only limited to hairstylists but it also includes students and apprentices across Canada. For this photo-based competition, competitors use hair as their art medium with make-up providing the perfect complement. Start thinking of your ideas as the deadline is August 1, 2013 with the Gala taking place on November 10, 2013 in Toronto! 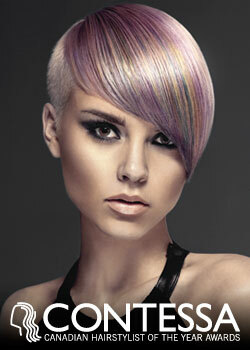 For more details and entry forms, check out Salon Magazine.